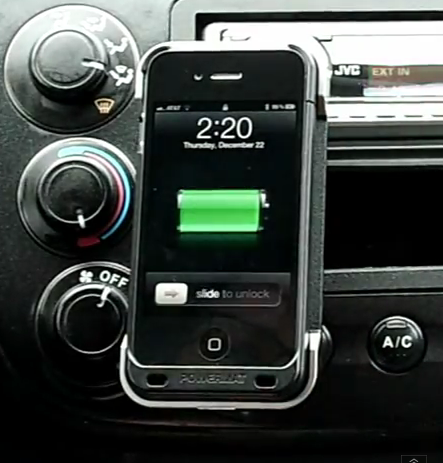 Keeping your hands on the steering wheel is undoubtedly a good idea, and here is a handy way of charging your iPhone with the minimum of fuss when driving. The way things are going it is going to end up being illegal to even think about using your phone while you are driving, even if it isn’t actually in the car with you at the time. Hell, thinking about using a phone while driving even when you’re sat at home is risky. In fact, just writing about it may get me into trouble. You really don’t want to be messing around with Apple’s charging cables when driving, either. You know how difficult they can be to plug in when you’re giving them your full attention, especially when you’re using one of those $0.50 ones off eBay, right? 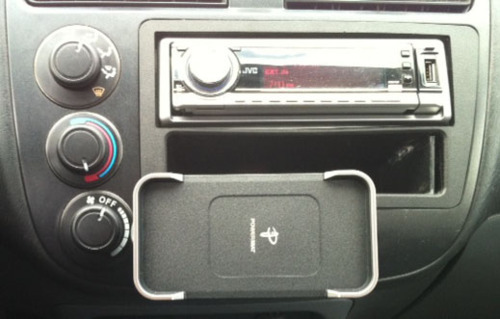 PowerMat has already managed to come up with a workable solution for charging an iPhone without wires, and now a clever fellow has taken the next logical step, by modding such a charging method to bits in the pursuit of a wireless charging and docking station for an iPhone when in the car. Did the simple thought of it got you to the edge of your seat? I can bet it did. Using a PowerMat and a Targus adjustable mount alongside an assortment of accompaniments can apparently yield some pretty impressive results, with the video we have embedded showing off the final product. As the instructions show, you’re going to want to be pretty handy with a screwdriver if you intend to give this a whirl. If you do, we want to hear from you!